The Part Part Whole concept is difficult for students. 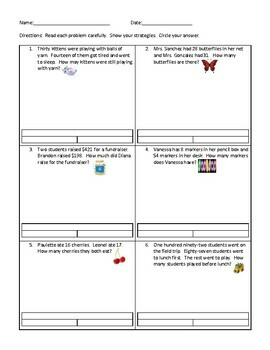 Give them plenty of practice with 2 sets of 6 word problems. 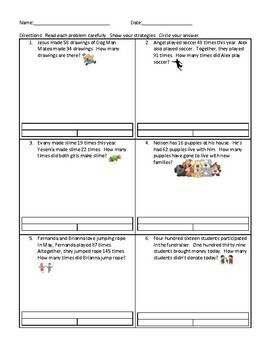 Each problem has a chart to help students think through the known and unknown parts.